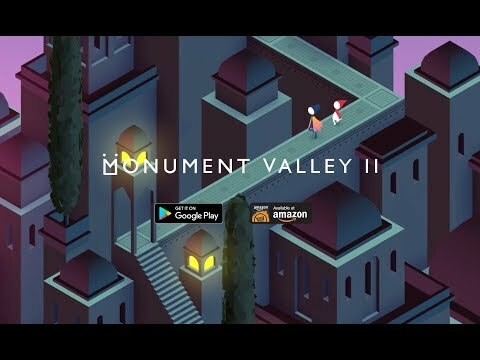 Monument Valley 2 - Games for Android. Monument Valley 2 - Explore mysterious valleys. Monument Valley is more than just a game at this point. Monument Valley is an aesthetic. I remember looking at phone themes and seeing people throw up wallpapers of its levels. It’s a really good game, too, and its sequel, Monument Valley 2 for Android, is a continuation of what made the original so great. If you’ve never played the game before, it’s a puzzle game that really plays with your perspective and throws in great story through its context. Here, you play Ro as she teaches her daughter about the world. There isn’t much difference between this game and its predecessor. You’ll be manipulating pulleys, rotating walkways and managing elevators as you make your way from the beginning of each level to the end. This is a game that really challenges your perspective, though. Can a pathway that lead to a lower level be turn around to give you access to an upper level? Sometimes changing your own perspective is all you need to figure out each puzzle. The game is beautifully crafted, however. Each level looks like a piece of artwork and the sound design is amazing. If you’re a fan of puzzle games, you really owe it to yourself to pick this one up. It’s $5 well spent as this game offers more than its predecessor and it really shows how well mobile-first games can be designed when someone has the time and passion to create something like this. In other words, you should should definitely buy this game!